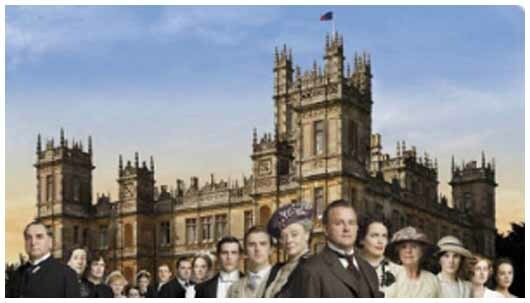 A recent Austro- British highlight has been the showing of the British award-winning TV series Downton Abbey. Set in a stately home in Yorkshire, the series follows the lives of the inhabitants both above and below stairs. Fascinating insights are given into the day to day running of the house and into the relationships and intrigues of the aristocrats and their servants. Beginning with the sinking of the Titanic, the focus of the first series is on the need for a male heir. When the heir presumptive and intended of the Earl of Grantham’s daughter drowns, the estate and inheritance pass on to a distant cousin. This of course sets up many complications for the family and their servants, which makes viewing compulsive! Contemporary issues such as socialism, female suffrage and medical advancement are also touched upon. The first series comes to an end with the outbreak of the First World War and the prospect of great changes for Downton Abbey. A quiz finally rounded off the viewing and of course we avid followers knew all the answers. We look forward to seeing the second series of this fascinating and addictive production and to meeting the inhabitants of Downton Abbey once more.